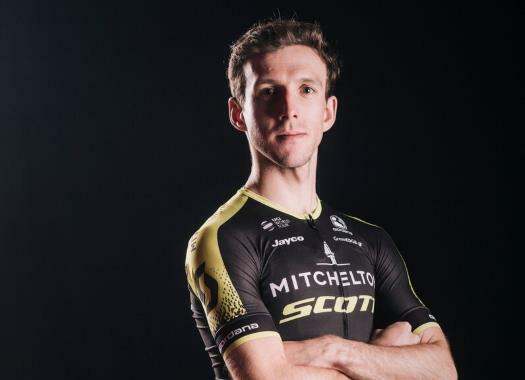 Simon Yates (Mitchelton-Scott) has finished the penultimate stage of the Vuelta a España as the leader of the General Classification after crossing the finish line at the Coll de la Gallina in third position. The rider is the virtual winner of the last grand tour of the season with one stage to go, the flat ride to Madrid. "Finally. I think it’s still sinking in," he commented at the finish line. "I’m incredibly proud, of the team also. "They have carried me through this entire three weeks. It’s the first Grand Tour for the team, it’s just unbelievable." Yates launched a solo attack at the last climb of the stage with the purpose of catching Nairo Quintana and Miguel Angel Lopez, who made a move at the start of the ascent. "Adam was running out of legs on the penultimate climb and I didn’t want to be in a position where I was riding through the valley to the final climb, that could have been the worse situation possible. "On the last climb I was OK, I was really at my limit and Lopez and Mas they were both incredible in the final and I just tried to ride at my own rhythm and that was it. I gave everything that I had and thankfully it was enough." If the last stage turns out as expected, the Briton will give the first victory in a grand tour to an Australian men's team. "I feel much better now that we have finished, it was a really crazy day and fast. Once again, I want to thank the team. "Everybody really stepped up, even the big guys who you didn't expect to be there on the climbs. They were just unbelievable, a really incredible day."